The Elementary Quad Lift is sized for children in grades 2-5. Proper strength training can increase muscular strength and endurance, help with rehabilitation, and prevent future injuries. 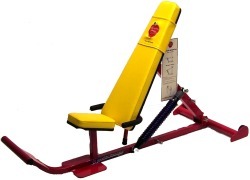 Order your Quad Lift Back Support 212 Elem from FitnessZone.com today!